Heat oven to 350°F. Grease and line a 9" cake pan. Whisk the flour, baking powder and salt together. Cream the butter, light brown sugar and vanilla together until well combined, about 1 minute. Beat on high for another 15 seconds. Scrape down bowl and add the egg. Blend for another 30 seconds. Add the dry ingredients and blend on low speed, then add the chocolate chips and blend until combined. Scrape into the prepared pan. Flatten batter to an even layer, smoothing it out. Bake until light golden brown and puffy, about 18 to 22 mins (mine took 19). Cool in the pan 10 mins, run a spatula around the edge to loosen. Cool completely (around 4 hours) and then turn out onto a serving platter. This post has been updated with new text, a printable recipe card, and an affiliate product link. I earn a small commission at no cost to you from Amazon. 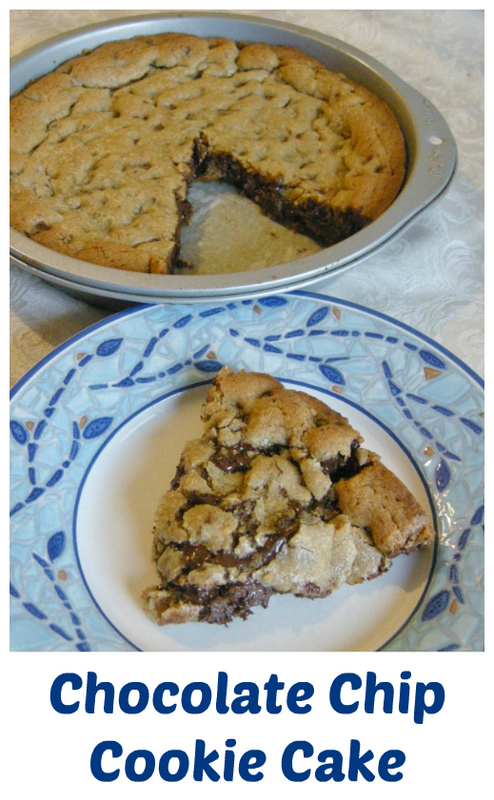 I made this recipe years ago and it's so good! I am way overdue to make this again. The boys just inhale it every time. :) Thanks for stopping by! Yummmmmmmmy! I am definitely making one soon! My family would love this. 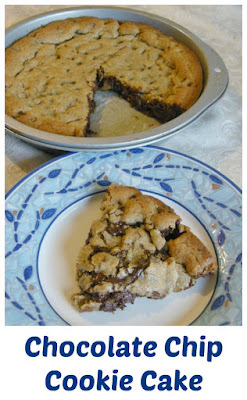 It's great for when that chocolate chip cookie craving hits! Hope you enjoy it as much as we do. Last time I used mint filled chips, so good! I'm thinking about doing one for my son's birthday too! Ok, I totally need to make this happen - it looks amazing.